What will it be like if I have to lose both of my breasts? What will happen if the cancer has spread to other organs? What will my husband and kids do if I don’t live through this? In those moments, I was trying to process some difficult emotions, not wanting my family or myself to go down this difficult road. This can't be the road you have chosen for us, Lord. But, as I searched my soul and prayed for peace, I realized those thoughts came from a lack of trust for our future. It all boiled down to the fact that I wanted to be the one in control of this situation. I wanted the choice for our future to be mine and not the Lord’s. Could I really trust God to be in control and to take care of me and my family - no matter what the outcome was to be? Quite honestly, I still struggle with that one. 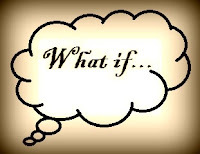 I often have to remind myself not to dwell on the negative thoughts that come alongside the "What if..." trail; but to, instead, think only on what is true and lovely, and pure. Philippians 4:8 - Finally, brethren, whatever is true, whatever is honorable, whatever is right, whatever is pure, whatever is lovely, whatever is of good repute, if there is any excellence and if anything worthy of praise, let your mind dwell on these things. ...But, to get back to the "Journey," the Oncologist finally called on Wednesday, December 5th and said ALL of the Radiology tests came back GOOD. Praise the Lord the cancer had not spread to bones or other organs, AND I would only need to lose the right side! We still did not know whether or not the lymph nodes were affected, and would not know that until after the mastectomy; but the tests did not show them to be enlarged, so that was a good sign. Things happened quickly from there, as we went to see the surgeon again that following Friday, and the surgery was scheduled for Tuesday, December 11th. Thanks Vicky once again I am encouraged by your testimony. You are so right about how important prayers and encouragement are. It is so vital to be lifting one another up.